While today's update should offer plenty to chew on as it stands, I'd like to call attention to one game that didn't make the list: Dragon: Marked for Death, a sidescrolling action-RPG by the Mega Man Zero team at Inti Creates that, while not an old game per se, is a project that originated on the PSP and has been in various stages of development for the last decade... it's not literally an up-rezzed port of a game from 2008 but, I mean, look at it. What's this? 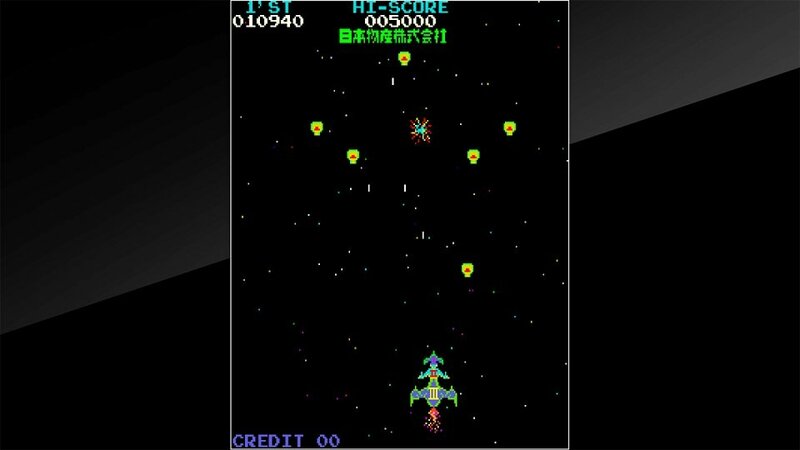 A fixed-screen shooting game developed by Nichibutsu and released in arcades way back in 1980; Moon Cresta was built using Galaxian hardware and borrows both concepts and content from its inspiration, with a couple of unique systems including the Lunar Lander-esque between-screen docking stages that allow the player to gradually assemble a larger ship. Why should I care? You like Galaxian, right? Here's a not-Galaxian. 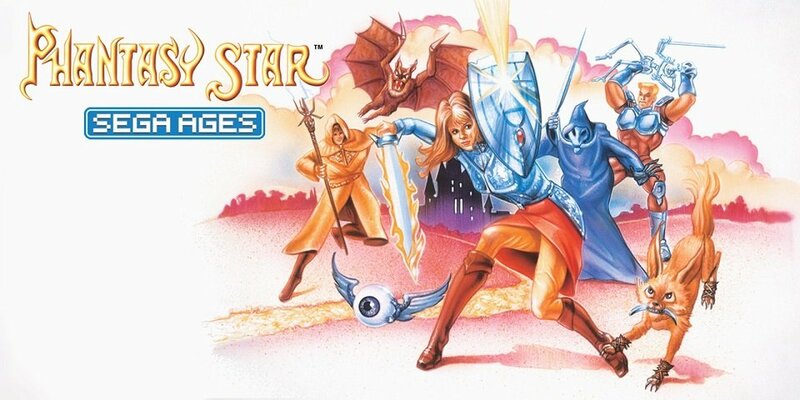 Useless fact: Moon Cresta is said to be first videogame to provide distinct names for each enemy type rather than simply referring to them with a collective, generic term. What's this? 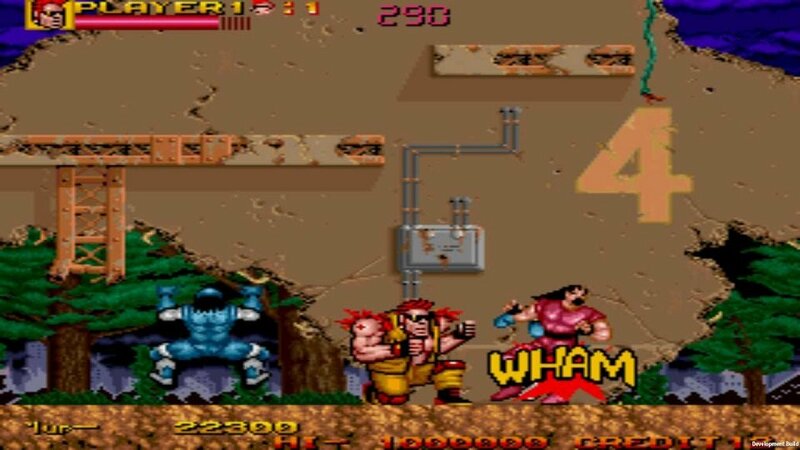 The fourth and final entry in ADK's time-slip fighting game series, released in arcades in 1995; despite sharing almost all graphical assets with the previous title, World Heroes Perfect offers a full mechanical overhaul, with a more conventional pseudo-6-button control scheme and a plethora of new systems including desperation supers, a meter that allows for enhanced special moves and supers when full, air blocking and, most notably, character-specific gimmicks (performed by pressing A+B+C) that further emphasize character variety. Why should I care? 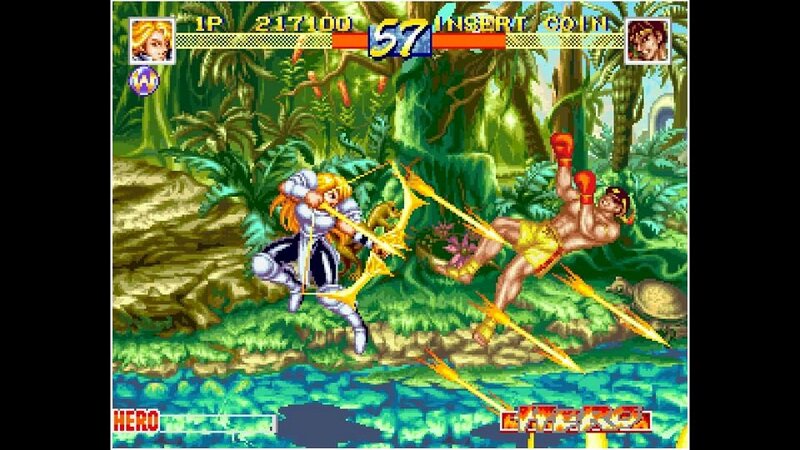 World Heroes Perfect is not only the best World Heroes game by a significant margin, it's also a surprisingly creative and forward-thinking fighting game that has received a second wind in recent years due to wide character variety, fast pace and a relatively balanced selection of characters; if you're looking for a Neo Geo fighting game that skews closer to the Capcom oeuvre, particularly more mechanically ambitious titles like Darkstalkers, this is an easy recommendation. 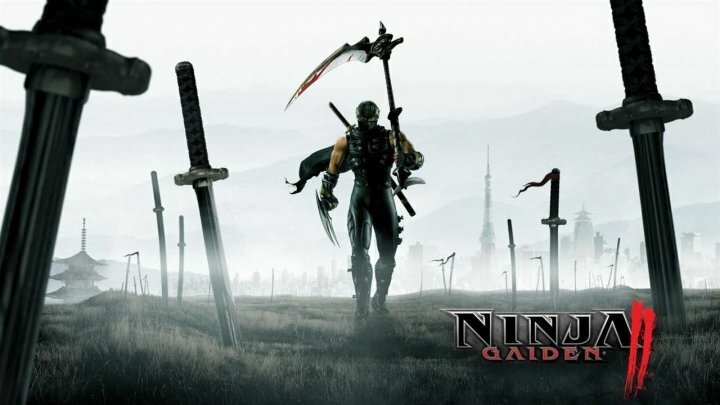 Helpful tip: Two of World Heroes Perfect's bosses, the massively overpowered Neo Dio and the utterly worthless Son Gokuu, are selectable via cheat codes; while on the character select screen, hold B and press up, up, down, down, left, left, right, right, B+C for Neo Dio or hold C and press up, up, down, down, left, left, right, right, B+C for Son Gokuu. What's this? A 1991 side-scrolling brawler from Japan's most American arcade developer, Data East; in the wake of a nuclear attack on New York, a pair of mercenaries are sent by the government to thwart a terrorist uprising, which they do by punching, kicking and tossing every punk, mutant, cyborg and psychotic mall Santa in their vicinity. Why should I care? 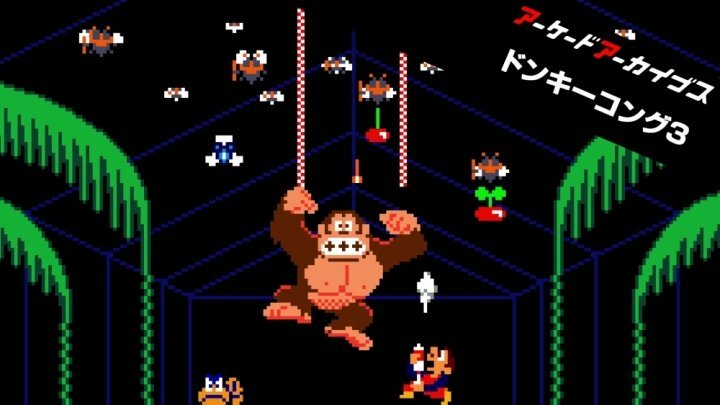 You've always wished Doki Doki Panic had been reskinned as an Escape from New York game rather than a Super Mario game. Useless fact: Johnny Turbo saw fit to sell this game under the name Two Crude Dudes, the title given to the Mega Drive port as a ploy to capitalize on the popularity of the earlier but unrelated Bad Dudes, but this is the original arcade game distributed under the name Two Crude (or Crude Buster in Japan), so if it's not quite the game you remember playing at home, now you know why. What's this? 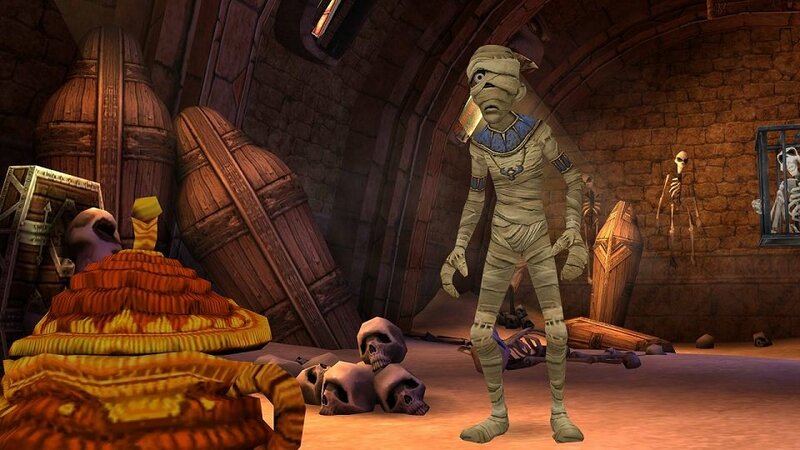 An Egyptian-themed Zelda-style adventure game with a character-switching gimmick, originally developed by the sadly defunct Eurocom and released for the consoles of the day in 2003 and recently remastered for PC with HD textures, widescreen support and other minor touch-ups; this Switch version carries forward the majority of the PC version's improvements and adds little else, save for the customary price hike. Why should I care? 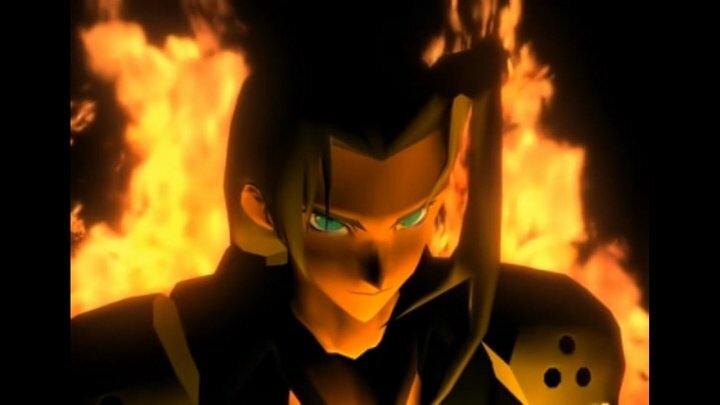 Sphinx was a much-vaunted Zelda-like in its day and one I'm sure many people missed not only upon its original release but again after the PC port, and given that it was developed primarily for the Gamecube with the Nintendo audience in mind, it's perhaps most at home on the Switch. 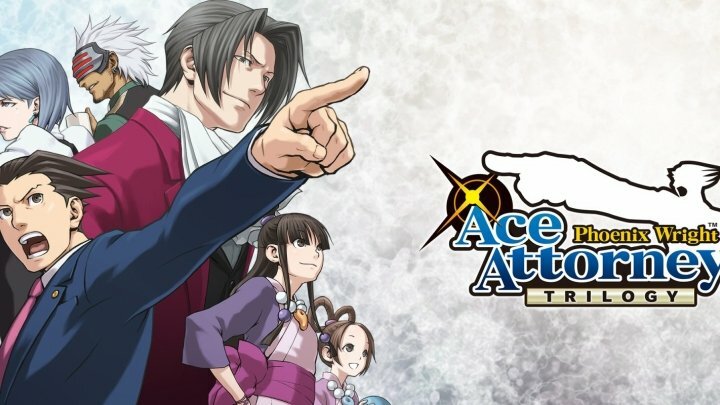 Uh oh...: I've been told that the Switch version's audio has a tendency to drop out when the system is docked  I can't foresee an issue like that going unaddressed but you may want to keep an eye out for news about a patch. Why should I care? 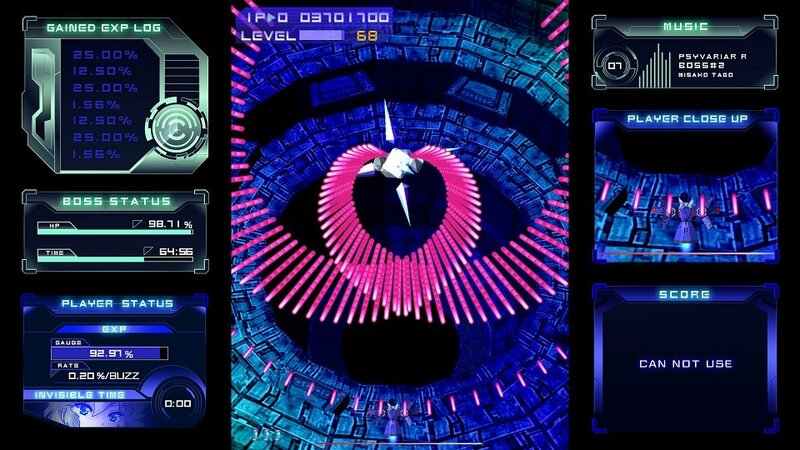 The trancey vibe and constant rush of flying directly into clouds of projectiles sets Psyvariar apart from typical Cave-style danmaku games, and this release represents the first opportunity for North American players to try the series without having to import a copy. Helpful tip: If you're playing on a high-refresh monitor, lock it to 60Hz or the game will run way, way too fast. 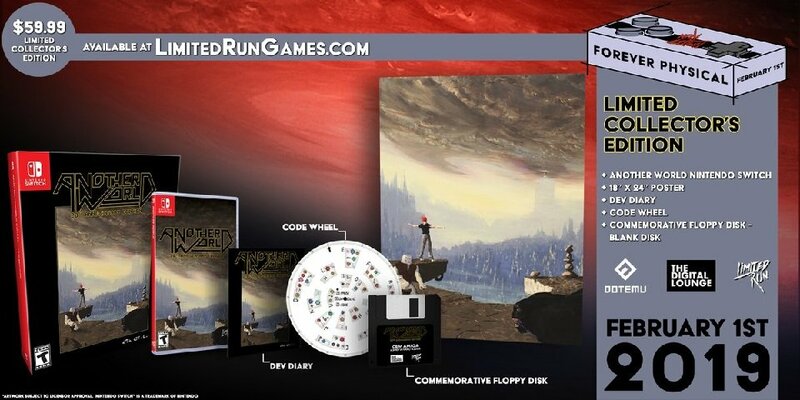 You've probably bought this game a dozen times before and you may have even bought a LRG version for another platform before, but here it is on Switch, both in standard and pretend-Amiga editions. 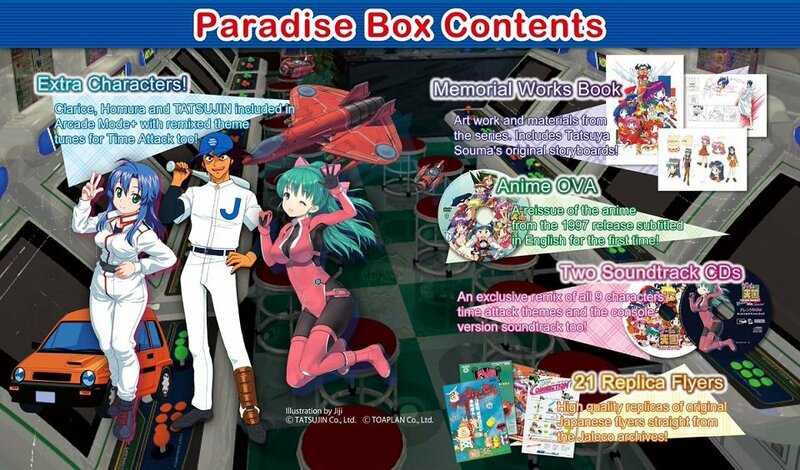 Game Tengoku CruisinMix has been subject to lengthy delays and missteps over the last year but this LRG disc run should represent the final, definitive release of the Jaleco crossover shooting game; in addition to the standard edition, which includes the game and several pre-installed DLC items, there's also a deluxe "Paradise Box" that includes the additional Tatsujin/Truxton cameo DLC and a handful of additional items including a 2CD soundtrack, a 120+ page book of art and dev documents spanning almost 25 years, 21 classic Jaleco arcade flyers, a subtitled DVD reissue of the promotional OVA and even an extra mockup case for the western Sega Saturn version that never was. The definitive version of the definitive Sega Master System game just became marginally cheaper, and with all the accessibility options they've added for this version, you can probably eke out a clear from scratch before Etrian Odyssey Nexus, the next handheld dungeon crawler to demand your attention, shows up a few days from now.